These adorable Israeli sandals are made of high quality leather and a comfortable rubber sole. They feature a darling flower of leather on the front, and are open backed. 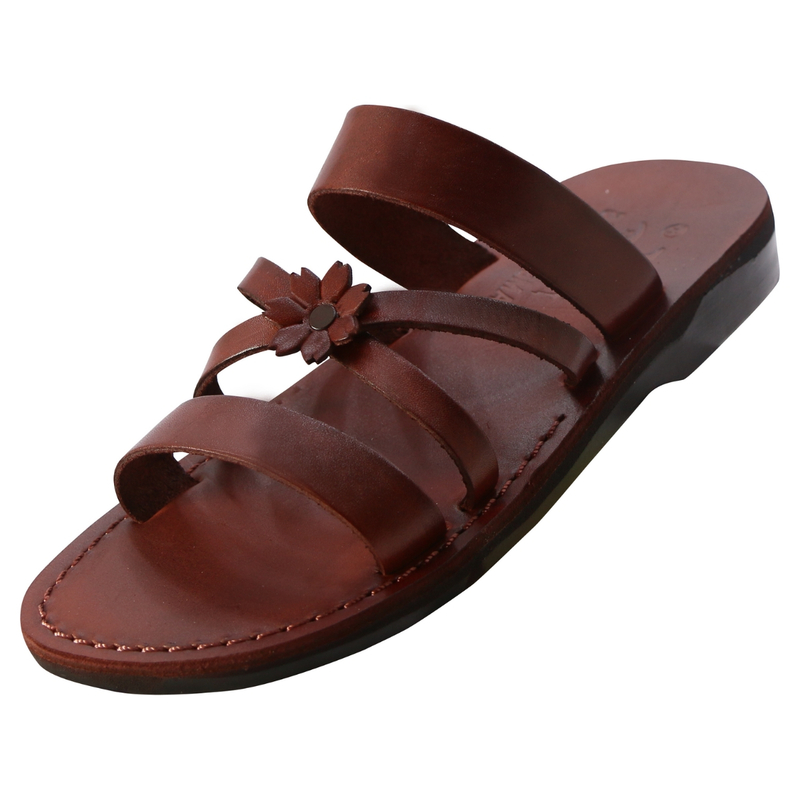 A cute ideally sandal design, this pair is made of high quality leather with a leather flower decorating the front strap (which splits and acts like two straps). An open backed slip on sandal, it is highly convenient and stylish to boot. Featuring a comfortable rubber sole, it is the type of purchase that lasts a very long time, supporting your feet and becoming the go-to pair in the process. A great gift, these Israeli sandals are a delightful blend of fashion and function.